The 21-acre project will include brush clearing, tree removal, and seed planting to restore native prairie and wetland habitat. Rare prairie seeds will be collected by volunteer stewards and staff from on site and nearby sites with similar habitat. The project is supported by the US Fish and Wildlife Service through the Great Lakes Coastal Program and is slated for completion in fall 2021. Somme Prairie Nature Preserve is an original prairie, one of the highest quality remnants in Illinois. Part of it has been shaded out by planted and invasive trees. The goal of the restoration project is to remove all brush and trees and return the land to a thriving prairie habitat. 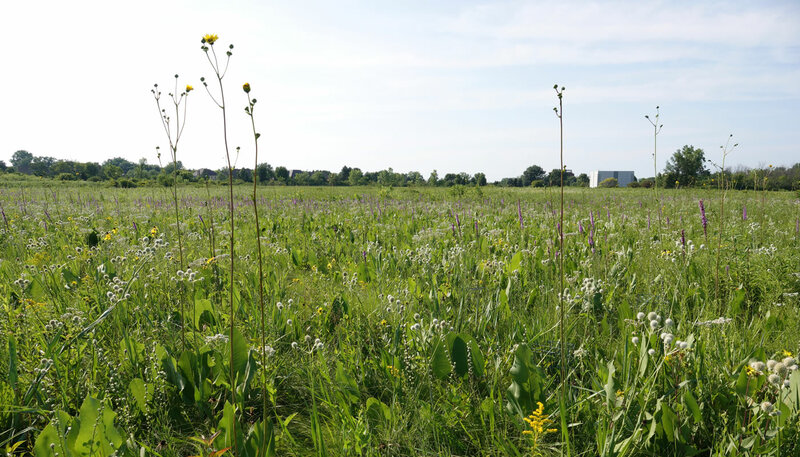 The grant-funded restoration work expands upon more than 40 years of dedicated volunteer stewardship; volunteers have increased the surviving prairie’s size and quality by cutting brush, removing trees and spreading seed. This restoration project aligns with the Next Century Conservation Plan’s goal of restoring 30,000 acres of forest preserve to good ecological health, and the prioritization scheme of the Natural and Cultural Resources Master Plan, which names the Somme Complex as the sixth priority site within the Forest Preserves. Of the three Somme Preserves, Somme Prairie at 70 acres is the smallest. Somme Prairie Grove is 85 acres, mostly oak savanna. Somme Woods, 255 acres, is mostly oak woodland. All are being restored to good ecological health.